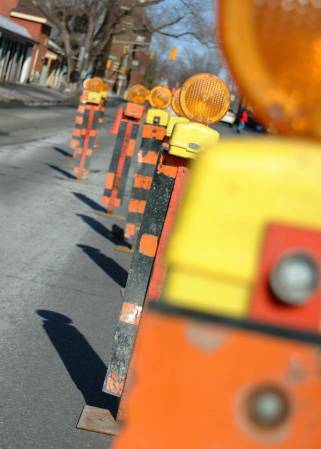 On Wednesday, April 15, work will commence on the next phase of the Triskett Road Reconstruction Project between Lorain Avenue and Berea Road. Work will be concentrated on the southern half of Triskett Road, while two-way traffic is maintained on the northern half. Access to sidewalks, driveways, building and service entrances will be permitted at all times. This phase of Triskett Road work is scheduled to be completed in July 2015. Improvements to the Triskett Road Reconstruction Project include pavement rehabilitation, curb, sidewalk and driveway repairs, ADA compliant ramps, replacement of existing catch basins, additional catch basins and upgrade the traffic signal system. The construction cost is $6,665,000. The Triskett Road Reconstruction Project is an ODOT administered construction project that reconstructs Warren Road from Lorain Road to Munn Road, and Triskett Road, from Lorain Road to West 117th Street. The entire project is scheduled for completion in December 2015.